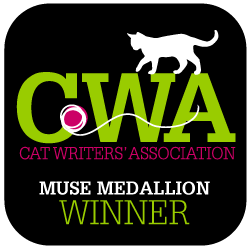 Catladyland: Cats are Funny: Limited Edition Fancy Feast Holiday Ornament Giveaway! 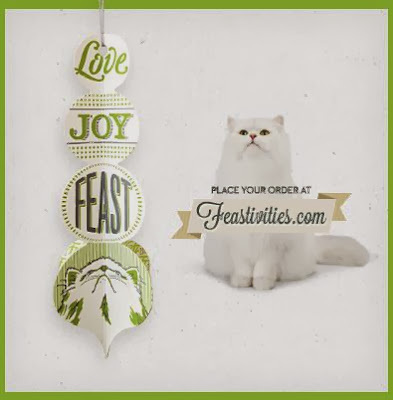 Limited Edition Fancy Feast Holiday Ornament Giveaway! For more than 25 years, Fancy Feast has released a one-of-a-kind collectible holiday ornament. This year, they've added a really cool element to its design: the piece features gorgeous illustrations delicately imprinted onto fine paper using an antique letterpress. This handiwork was designed and created by Firecracker Press, a small letterpress print shop in St. Louis, which is the home of Fancy Feast. I love the unique design, and have to say this is my favorite Fancy Feast ornament to date! Guess what? Fancy Feast is giving away one of these unique ornaments to 30 lucky Catladyland readers! How cool is that? So go ahead, register to win, but hop over to Feastivities.com and order one or five for your family and friends. They're only $2 each (what a deal!) and all donations go directly to Adopt-a-Pet.com! The giveaway closes at 11:59pm CDT on Friday, November 29, 2013.